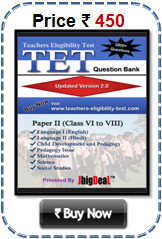 Tripura TET Answer Keys 2019 Download TTET Answer Keys 2019 PDF: Candidates can download Tripura Teacher Eligibility Test (TTET) Exam 2019 Paper 1 and Paper 2 Answer Keys of all seta question booklet from this site. 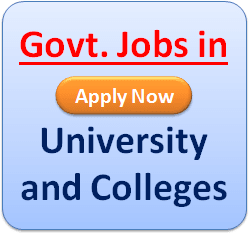 Teachers’ Recruitment Board, Tripura (TRBT) Education (School) Department, Govt. Of Tripura conducted Tripura TET exam on 16.07.2019 for both Paper 1 and Paper 2 examinations. 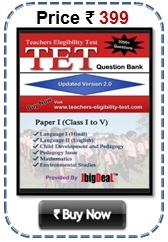 Once the T-TET 2019 is done TRBT will published answer keys for both papers. A fully computerized system is adopted for evaluation of answer scripts using Optical Mark Recognition (OMR) process for preparation of Tripura TET result 2019. Since the evaluation will be error free under the above process. There is no provision for re-evaluation of the OMR Answer Scripts or re-counting of the marks scored. No correspondence in this regard will be entertained. On completion of the Tripura TET, Tentative Answer Keys will be displayed on the official website of TRBT. The candidates are instructed to go through the same and in case they have any doubt/confusion/query with respect to any Tentative Answer Key they can report their feedbacks personally with proper documentation about the doubt/confusion/query to the office of TRBT within stipulated time. TTET Final Answer Keys will be frozen and uploaded in course of time after taking appropriate views of experts about the feedbacks thus received. On completion of evaluation process, OMR Answer Sheets, Provisional Results of the candidates appeared along with Final Answer Keys will be uploaded on the official website of TRBT.